Auxiliary power units allow truck drivers to have climate control for their sleepers and electricity for hotel loads without needing to idle the tractor engine, but fleets that elect to add APUs to the cab must decide how those APUs will be powered — by a small diesel engine or by batteries. Central Trucking Inc., a refrigerated carrier headquartered in Edinburgh, Ind., and Paper Transport Inc., which operates out of De Pere, Wis., use electric APUs from one of the major suppliers. Paper Transport also is cutting costs by reducing idling, said Patrick Gray, equipment manager for the carrier. “With current fuel costs being low, the payback period is longer, but the savings are still there,” he said. There are pluses and minuses to both approaches, another industry expert said. “One benefit of diesel APUs is that they have more power,” said Sean Connell, technical director of Advanced Concepts and Electrified Products at Bergstrom. 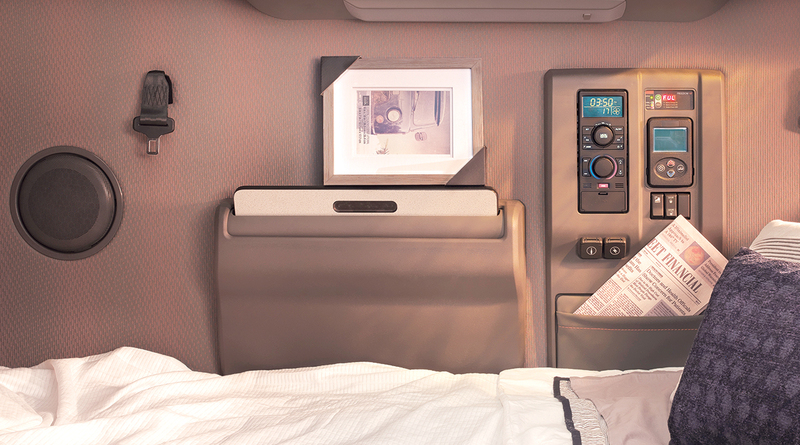 The APU’s batteries can be used to provide electricity for hotel load devices, but when drivers need the air conditioning to last for a full 10-hour break, there may not be enough juice there. Greg Bremhorst, director of sales for heavy duty and power systems for Phillips & Temro, said that it’s important to train drivers how to use an electric APU for air conditioning because taking the right steps will reduce the work required by the air conditioner. “Simple steps to extend run time include preconditioning the cab to a comfortable temperature before turning the tractor engine off and using an insulating curtain to close off the driving area from the bunk area so that the space being cooled is minimized,” he said. Phillips & Temro’s Idle Free Systems electric APU provides a battery-powered air conditioner, a diesel-powered heater and cab electricity with an AC outlet. It’s an “engine-off, anti-idling” product, Bremhorst said. Carrier Transicold’s ComfortPro APUs include diesel and electric models. David Brondum, a director of product management and sustainability at the company, discussed the cost comparison between the options. Even though a diesel APU uses fuel, idling a tractor engine uses much more, Brondum noted. He said Carrier Transicold’s diesel APUs will save about a gallon of fuel per hour compared with idling the truck engine. “For a truck that would otherwise idle 2,000 hours annually, the savings, at today’s fuel cost, is significant,” Brondum said. In DeLarosby’s view, the annual average cost of operating diesel and electric APUs is about the same. The choice between diesel and electric will depend on the nature of each fleet’s business. “When purchasing an APU, it’s critical that a customer understands their needed application to ensure they have the right type of unit for their operation,” he said. DeLarosby said that a diesel APU works best for drivers who spend significant amounts of time in either very cold or very hot environments. “For drivers who spend maybe only up to a few nights at a time on the road, use moderate amounts of electrical power for appliances and accessories, accomplish their driver reset at home, and get good amounts of drive time each day allowing them to ­fully recharge their APU batteries, an electric APU could be a good fit,” he said. Another fleet, K&B Transportation, a refrigerated carrier based in South Sioux City, Neb., uses a diesel APU from one of the major suppliers. Brock Ackerman, vice president, general manager and co-owner of K&B Transportation, said that using the APU to avoid idling brings three benefits. As for the cost of APUs, attempts to get specific prices from manufacturers weren’t successful as of press time. However, one industry representative said electric APUs range from $8,000 to $11,000 installed. Fleets turn to APUs, in part, to comply with state and federal rules that govern idling and emissions. A variety of anti-idling laws are in place around the United States that restrict how long a truck may idle. The goal of these regulations is to reduce greenhouse gas and particulate matter emissions. The California Air Resources Board has regulations that apply to the operation of APUs installed on trucks equipped with DPFs. If a truck engine is equipped with a DPF, then an APU on that truck also must have a CARB-approved DPF installed, said Stephan Lemieux, manager of the On-Road Heavy Duty Diesel section in the Mobile Source Control Division at CARB. The regulations restrict only the operation of the APU, Lemieux said. The driver of a truck with a DPF on the tractor engine but without a DPF on the APU can avoid a violation simply by not using the APU while the truck is within California state lines, he said. At the federal level, the GHG Phase 2 rule identifies the use of APUs as a technology pathway for meeting the GHG standards of tractors, an Environmental Protection Agency spokesman said. Credit is given in Phase 2 for both diesel APUs and battery APUs, along with other idle reduction technologies such as fuel-operated heaters. An APU can be added to a truck as an aftermarket purchase or ordered from the major truck manufacturers as an option on a new truck. Volvo Trucks offers the Volvo parking cooler, which is a factory-installed, battery-­powered air conditioning system supplied by Bergstrom, said Jason ­Spence, Volvo Trucks’ longhaul product marketing manager. Instead of a factory-installed APU, Peterbilt offers SmartAir, its anti-idle solution. “It runs off a dedicated electrical system that charges when the ­vehicle is driving and allows for the system to run for 10 hours to keep the vehicle cool,” Director of Marketing Jorge Medina said.